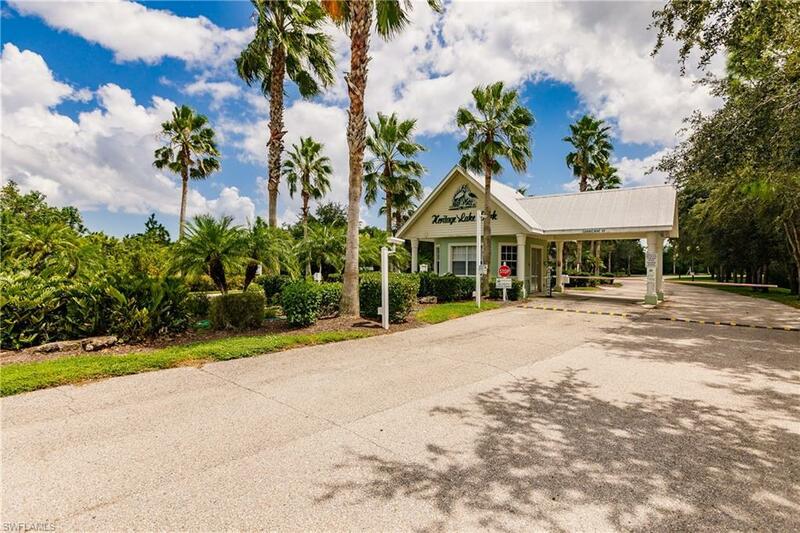 Great corner unit located in a beautiful gated community. The amenities are endless: pool, tennis, lawn maintenance and well maintained building. Main floor with view of the lake, no stairs to to climb! Great open concept - front entry leads into living room and dining room. Tons of natural light in this space with sliding glass doors out to the lanai. This space will become your oasis with views of the lake - enjoyable all year round! Back inside you'll find the bright kitchen with dining nook. Master bedroom has ensuite. 2 additional bedrooms and a full bathroom complete this unit!